With the next two episodes of NInjak Vs the Valiant Universe now online, we get to see one of the coolest fight scenes in the series and the introduction of a popular supernatural hero. Don’t know what I’m talking about? Thanks to Valiant Entertainment and Bat in the Sun, the Valiant heroes and villains have made the leap from the four-color page to the live-action world, and episodes are debuting each day this week until the finale over at comicbook.com. These two episodes bring Valiant’s heavy hitter, X-O Manowar (Derek Theler) and the enigmatic Shadowman (Damien Poitier) into the fray. Episode III gives us the scene I have been waiting for: Ninjak (Michael Rowe) throwing down with X-O Manowar. For those not familiar with X-O, he’s a Visigoth warrior, plucked from home by extra-terrestrial beings and comes into contact with the greatest weapon in the galaxy, the X-O Manowar armor. So imagine a fierce barbarian warrior in possession of unimaginable power? That’s the allure of the character for me, and the live action version captures the essence of the character perfectly. 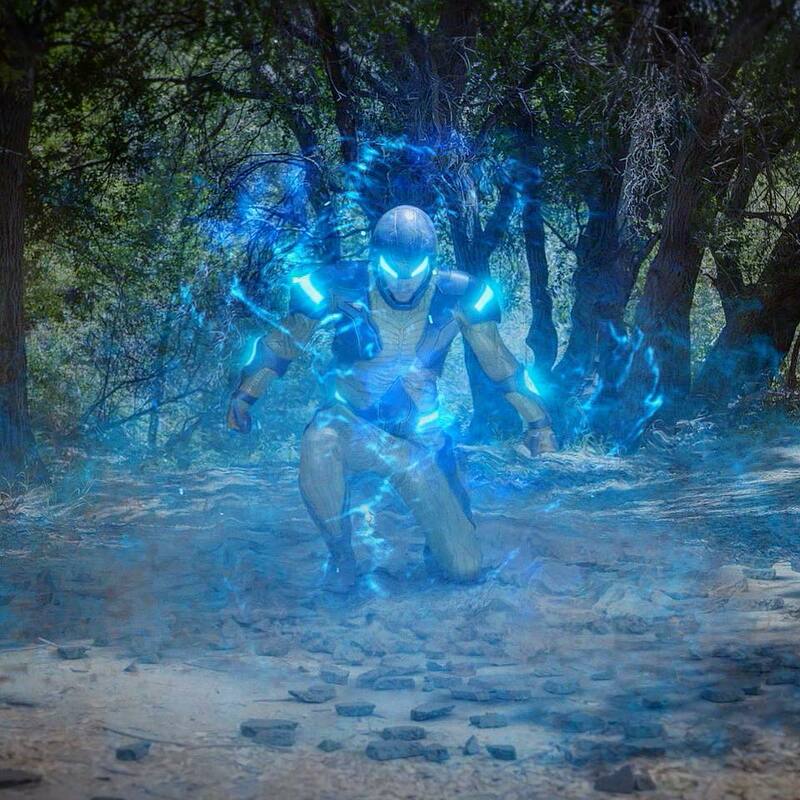 The fight scene in the forest is extremely well done, as we see X-O take it to the one man army known as Ninjak. We also see more interactions with Gilad, the Eternal Warrior, played by John Hennigan. I was worried about this casting, mainly because Hennigan is kind of young to be playing the grizzled immortal. But the professional wrestler shows that not only can he steal the show in the ring, he can do so on screen as well. Episode IV shows our rogue hero in the heart of the Deadside after being shot by Bloodshot (Jason David Frank) after Ninjak barely escaped a gruesome end from X-O Manowar. Pulled from our reality, we meet Jack Boniface, also known as Shadowman. It’s a great encounter, and Poitier absolutely owns the role of Shadowman. The way the cast all connect with each other is something special and makes for a very enjoyable show. I wish this was a series of full hour episodes or a feature-length movie. It’s addicting, it’s that good. Michael Rowe continues to show that NInjak deserves the live action treatment. Valiant picked a perfect story to introduce their universe for the first time to a new audience. Next episode looks to include the duo of Archer & Armstrong, which should be a fantastic showdown. With only a few episodes left, I hope to see an announcement to continue this series in the very near future. Or some sort of Valiant continuation. I want to see Quantum and Woody (maybe played by the duo from Psych? ), Ivar the Timewalker, the villainous Harada and more. This series deserves a life after the war. Head over to www.comicbook.com to check out the series NOW! Previous The Venom Trailer is Here: We Are Venom!